For Sale! 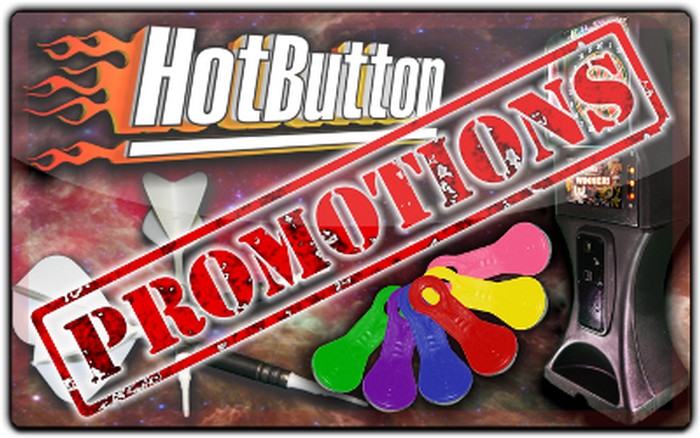 Arachnid Hot Buttons - Track your casual dart play online! What is the HotButton Memory Device? The HotButton Memory Device is a convenient storage device offering many operator-selectable features. The Button can make games more fun for players, help the operator with the route, and economize the collector’s tasks. The Player Button allows its owner to put his name on the game screen. You can set up your hot button and track your casual gameplay online at http://www.bullshooterlive.com/2012/07/23/getting-started/. If you'd like a HotButton and live in Wisconsin, contact Emily at epickart@midstateamusements.com or at 920-322-8284 on her direct office line. Again, we do not ship these out of our service area. To find the operator closest to you to buy a Hot Button, contact Arachnid at 800-435-8319. 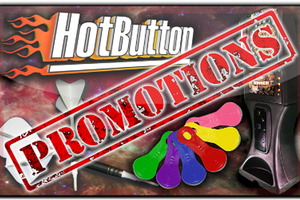 We sell Hot Buttons out of our Fond du Lac Office. If you live in Oshkosh or another nearby town, we may be able to arrange to drop a Hot Button off at a bar near you.